Are you more annoyed by all caps or overly terse e-mails? This statistic presents U.S. internet users' pet peeves when regarding e-mails as of March 2014. 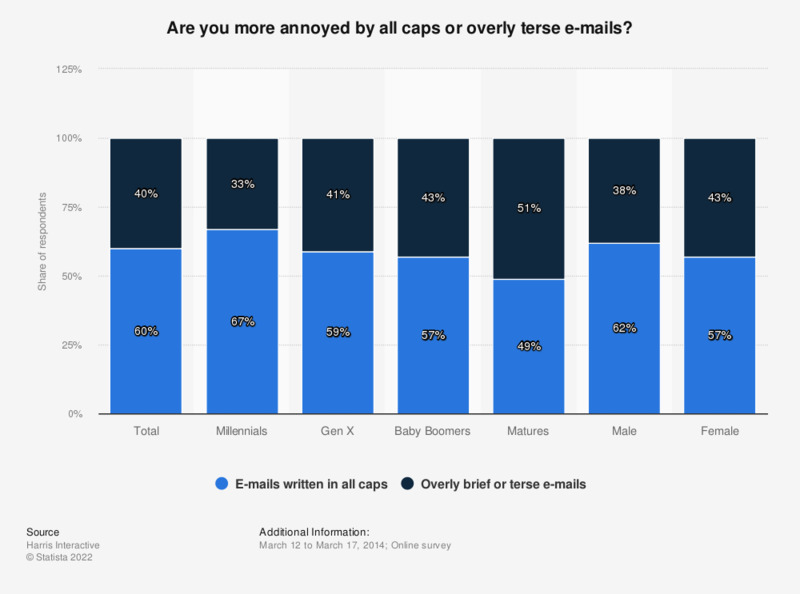 Overall, 60 percent of respondents across all demographic groups were more annoyed with e-mails written in all caps than with overly brief or terse e-mails. "For each pair of common annoyances below, please choose the one that annoys you the most." Are you more annoyed by people who overuse reply all on e-mails or people who don't reply to e-mails?